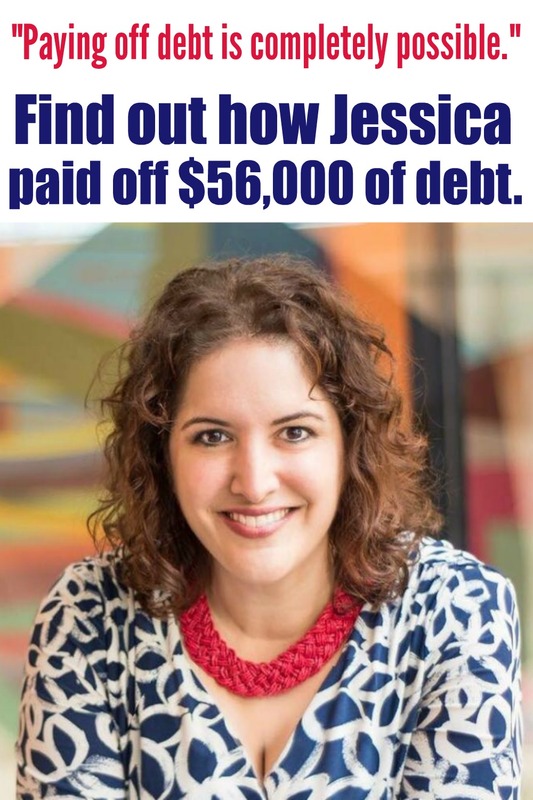 Jessica paid off $56,000 in student & car loans and credit cards. Today’s Debt Free Story is from Jessica. 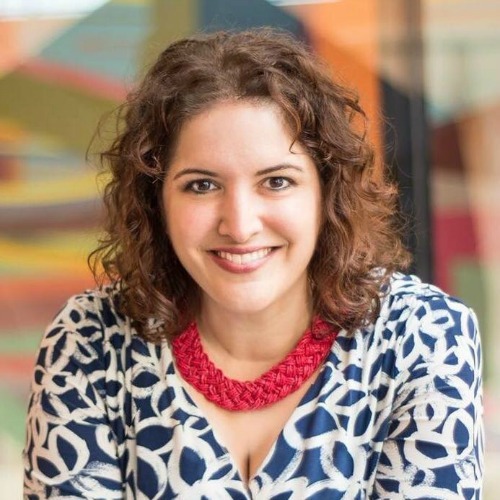 She owns Every Single Dollar, an online financial resource dedicated to helping single women make informed financial decisions and set themselves up for financial success. 1. Tell us about yourself. Where are you from? What do you for a living? What are your hobbies? I was born in West Palm Beach, FL. My childhood was split between Florida, Ohio and Minnesota. I am used to moving a lot! I am now back living in South Florida. I am the oldest of seven kids (yes, we all have the same parents – I get asked that quite a bit!). I work in Finance/Accounting for a large corporation but I have also started a company called Every Single Dollar, which focuses on personal finance for single women. In my spare time, I love hanging out with family and friends, running (I have completed three half marathons) and singing in my church choir. I had $56,000 of debt when I decided to become debt free. I had $29,000 in MBA student loans, $14,000 in credit cards, and $13,000 in a car loan. I had planned to pay it all off in 2.5 years. It took me five years to pay off my debt but two of those years I had a job loss, I was taking care of my grandparents and I had lost my motivation and drive to pay off the debt. The inspiration to pay off my debt was watching my grandmother balance her checkbook. She was so meticulous with her money. That observation brought back the flood of stories she and my grandfather told about coming to the US from Cuba with no money and starting over in their late 30s. How they sacrificed to win financially. How my grandparents paid off $55,000 of their home mortgage in one year. I knew that I was wasting the precious gifts and freedoms that had been afforded me by not being responsible with my money. It was time to make a change. Once I got home from that money changing event at my grandparents’ house, my best friend told me about this financial series she and her husband had been going through at church called Financial Peace University (Dave Ramsey). I was very excited about it and ended up buying Dave Ramsey’s book, The Total Money Makeover . I read it in two days and I was sold on the idea of being debt free. I ended up taking Financial Peace University as well. 5. Share the top 3 – 5 ways you found money to put towards debt. Simply doing a budget. I was shocked at how much money I had left over at the end of my paychecks that was slipping through my fingers. I also cashed out some company stock (about $800) I had purchased through our employee purchase program. I had also been teaching one class a quarter at a local career college so I increased to two classes a quarter. And I cut back on lifestyle – cooking food at home, taking the bus to work vs driving and paying for parking, etc. 6. Share your top 3 – 5 tips for saving money/pinching pennies to put towards paying off your debt. Stop eating out – it’s so much better for your wallet and your waistline to cook at home. Also find inexpensive entertainment in your area – there are lots of free events in your local communities to take advantage of. Re-examine and shop around for car insurance every so often – I saved $1200 this past year for the same coverage. Consignment stores and auctions are a great way to buy clothes and furniture at low prices. 7. How did you celebrate when you became debt free? The only thing I really did to celebrate was to share my milestone on social media. Some people knew the path I had been on but a lot of my Facebook friends had no idea. It was great to celebrate with all of them. I didn’t really celebrate by spending any money. 8. What habits did you form while being debt free that will now stick with you for the long term? Definitely a monthly budget – I always create one every month. I am much more conscientious about buying things and think twice before making a purchase. I no longer use credit cards – only debit cards or cash. When I was using credit cards, it was so easy to disconnect the purchase from how it affected your wallet. Not using debt helps create the connection. I will NEVER finance a car again. 9. Was there something that you gave up that you will go back to now that you are debt free? I didn’t really have to give up a lot while I was getting out of debt. It was more about being mindful about my spending. Going through the debt payoff process made me realize that there is nothing materially that I want badly enough to go back into debt and I would rather spend my money on experiences. I guess I am spending more on travel now than I did when I was getting out of debt. Experiences over material things – that is my mantra now. 10. What are your financial goals now? My next big hairy audacious goal is to buy a home with cash! Also, I am planning to move from the corporate world to my own business in the next few years. Saving for retirement – or a version of retirement – is also a goal. Part of the traveling that I want to do is humanitarian-focused – how I can use the wealth I build to help others in the world. 11. What advice do you have for someone that is paralyzed by their debt load, but wants to be debt free? I think you have to have the “I’ve Had It!” moment and hit rock bottom – at least that was the case for me. I had to be so fed up with my debt to take action. Once you have become good and angry about the position you are in, make a list of all the debts you have. That, in itself, will be eye-opening. Start tracking your spending and use that information to start creating a monthly budget. Then you have the information to move forward to attack the debt and reach your financial goals. 12. Is there anything else you’d like to add that you think would help the readers who want to become debt free? Don’t think you have to be perfect in your debt payoff plan. Life will happen and there will be bumps in the journey. Also, you have to be patient in the payoff process. There is only so much spending you can cut and so many hours you can work. The debt didn’t happen overnight so don’t expect it to be gone overnight. And most importantly, find a community of others who are in the debt payoff process to help encourage and motivate you when you want to give up and throw in the towel. And finally, paying off debt is completely and totally possible. It is totally in your control and power to do so – you just have to be willing to do the work. Thank you, Jessica, for sharing your Debt Free Story. For more about her story, check out her website, Every Single Dollar. For more stories like Jessica’s, go to Debt Free Stories. Very encouraging. I love her advice that you have to have the “I’ve had it” mindset. If it is something you really want, you will make the sacrifices for it. Thanks for the post.